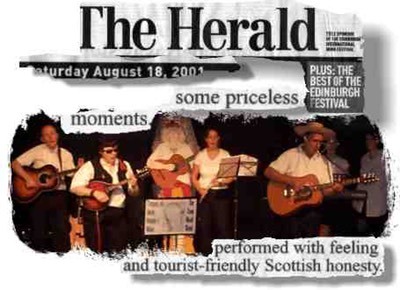 In August 2001 and again in 2002 The Crow Road Band performed Pictures of Uncle Donnies’ Wake at the Edinburgh Festival Fringe - one of the biggest festivals of its type in the world (there were over 20,000 performances and nearly 900,000 tickets sold in 2001). They were also invited to play on the concert stage at Princes Street Gardens. 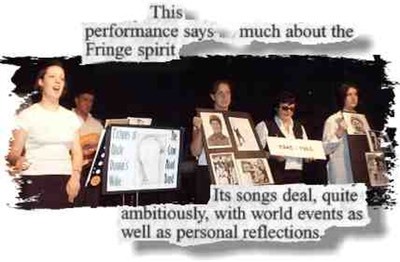 The performance was recorded on video - excerpts of which can be seen below.